I’ll start this off by saying that this is not an original Bugatti Superprofile Coupe. It is an original Bugatti Type 46, but the body has been redone in the style of Jean Bugatti’s famous Superprofile car. The Type 46 uses a 5.4-liter straight-eight making 140 horsepower. The car originally had a four-door sedan body on it and sometime in the past 15 years, this stunning new body was constructed by Mr. Ken Haywood in Australia. The Coupe Profilée (as Jean’s original drawings were officially referred to) bodystyle was never applied by the factory to a Type 46. One acquired an original Profilée body in the 1960s and that car is in the Schlumpf Collection, never to see the light of day again. The first factory Profilée was on a 1935 Type 50, which was once owned by Bill Harrah. It is valued at about $2 million. This car sold in March of 2012 for $1,017,500, which was perhaps a little high, considering that, while beautiful and probably better done than any original Bugatti body, it will never be a contender at places like Pebble Beach because it isn’t a period body. And owning a Bugatti like this is all about garnering awards and patting yourself on the back for being able to afford something beautiful that somebody else made. In all, 450 Type 46s were built between 1929 through 1933. One has a real Profilée body on it from back in the day. This one has a new Profilée body. It’s definitely more valuable than some other Type 46s, but I kind of doubt it will bring the same kind of money it brought last year. But who knows. Click here for more and here for more from what’s shaping up to be a monster sale from RM in Italy. 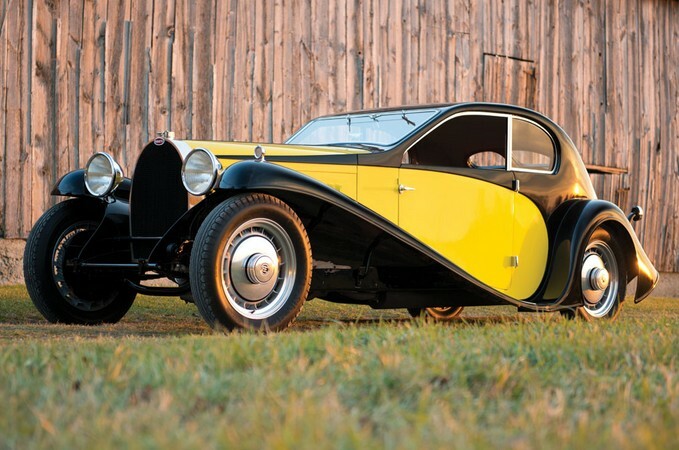 This entry was posted in Uncategorized and tagged 1930, auctions, bugatti, cars, classic cars, coupe, rm auctions, superprofile, type 46 by classiccarweekly. Bookmark the permalink.